From the first minutes of opening day on May 14th to the early evening hours of May 31st, admission to Barkerville Historic Town is by donation this month… for the fourth year in a row. Barkerville Historic Town is gearing up for an eventful 2015 season filled with education, entertainment and three sesquicentennial celebrations: 2015 marks the 150th anniversaries of Barkerville’s Cariboo Sentinel newspaper, the Cariboo Amateur Dramatic Association’s first public performance (in a saloon) and completion of the legendary Cariboo Waggon Road from Yale to Williams Creek. On Monday May 18th – Victoria Day – visitors to Barkerville Historic Town are invited to enjoy Royal Tea (with Royalty) as Barkerville’s own ‘Queen Victoria’ visits the world-famous Wake Up Jake Restaurant for two sittings of afternoon High Tea, at 1:00 PM and 3:00 PM. Barkerville’s 16th annual Victoria Day Royal Tea event will be fun (and food) for the whole family, and reservations are recommended but not required. 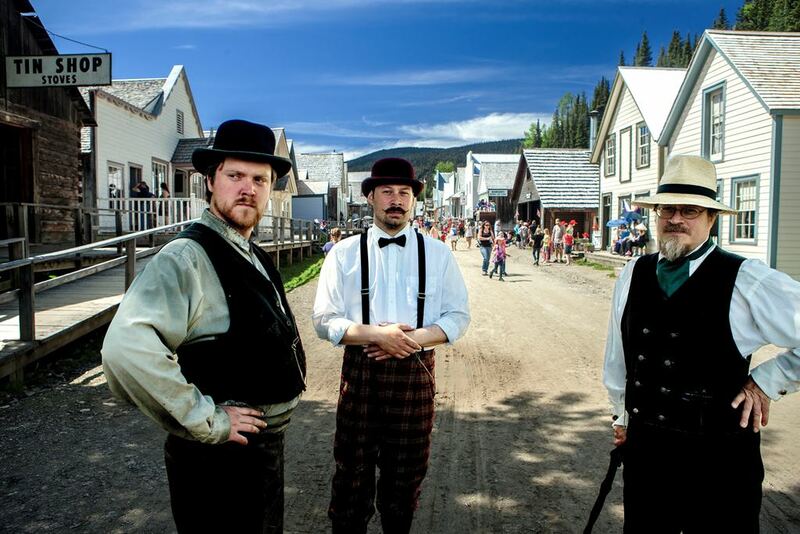 With a unique streetscape of more than 130 heritage buildings, authentic displays, satellite museums, restaurants, shops and accommodations Barkerville still has so much to explore… and with three sesquicentennial anniversaries at hand, this season is the perfect time to visit. For more information about Barkerville’s season of sesquicentennials, including the 16th annual Victoria Day Royal Tea, please phone Judy Mooring, Visitor Experiences, at 1-888-994-3332, ext. 29 or email barkerville@barkerville.ca.